Swap out the battery disconnect switch in your show car with this Battery Disconnect Switch with Alternator Cut Off. Built for 6-36V systems, this switch makes it easy to switch off your carâ€™s battery and protect your car from excessive battery drain. 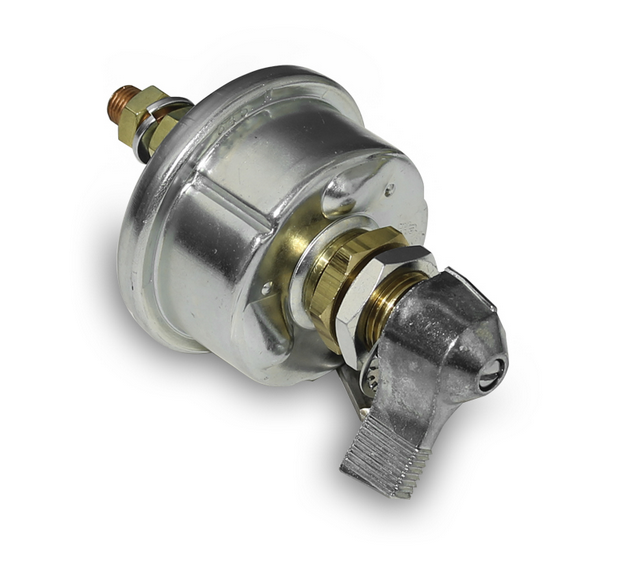 This switch is rated at 125A continuous/1000A for intermittent, and is built with a chrome lever and case, brass contacts, and 10-32 alternator studs. Feel confident that youâ€™re protecting your vehicle from fire or theft with this Battery Disconnect Switch with Alternator Cut Off.